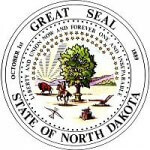 Through the child support enforcement division in North Dakota, a parent seeking child support or who no longer receives child support from the paying parent can get their child support order enforced. You, however, have to file a complaint or default of payments or apply for child support services if you want to start the process. For the former, your case will go through different steps before the complaint is enforced. Step 2: Fill in the form with the required details up to section E.
Step 3: Sign it, find your local child support office address here and send it for processing.